The founders Charles and Vanna Rae Bello are professional architect and teacher who in 1968 chose a more simple, back to the earth, pioneering life style for themselves by leaving their professions and moving deep into the redwood forest. Unlike many that were part of this movement they choose to do this on our own rather than with others. Charles having grown up on a farm as a child and with engineering and architectural degrees and having acquired a broad range of construction and mechanical skills prior to moving into their remote forest location, had the basic skills that are required in carving out a living, and a sustainable life style for himself and his family. Vanna Rae like the pioneering wives of our heritage, was not only homemaker, child bearer and teacher (home schooled our two boys) but also the helper, adviser, and partner in the creation of a unique lifestyle. During the past 50 years 100,000 seedling trees have been planted, 40,000 were grown and sold as Christmas Trees, which provided their livelihood and paid for the land, 60,000 were planted in reforestation projects. Houses, orchards, vineyards, berry patches, water systems, independent off grid power systems, workshops, 2 saw mills, some 3 miles of trails and a park like setting has been established. Most visitors are amazed at what has been accomplished without hired help. Several years ago the Bellos became aware that land ownership or land stewardship, as they like to consider themselves, requires taking action to preserve the land in perpetuity. This is how the Redwood Forest Institute came into being. 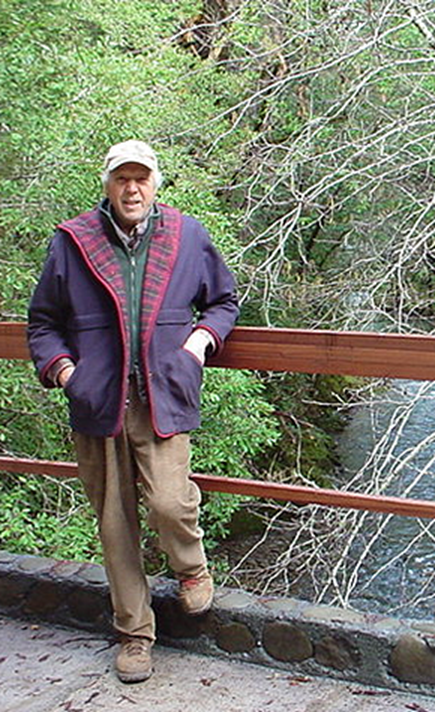 Land Trusts or Conservation Trusts are the only vehicle that are available to preserved land in Perpetuity. The Bellos looked into some of the many Land Trusts in existence who monitor irrevocable Easements that are placed on private properties, and decided that their land could be managed best with an organization founded founded themselves to implement the specific programs they have in place. 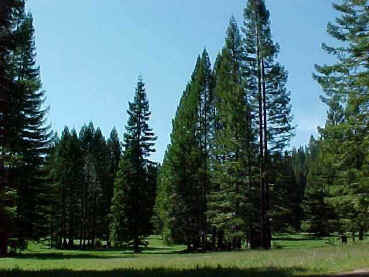 THE REDWOOD FOREST INSTITUTE PRESENTLY OWNS AND MONITORS A CONSERVATION EASEMENT PRESERVING THIS LAND FROM SUBDIVISION, EXCESSIVE LOGGING. ROUND ALUMINUM NUMBERED TAGS IDENTIFIES EACH OF THESE TREES AND A LOCATION MAP CAN LEAD TO ANY ONE OF 1000 OF THESE REDWOODS THAT HAVE BEEN SELECTED, MEASURED, AND PRESERVED IN PERPETUITY.